ROUND ROCK, Texas, Mar. 16, 2017 – Dell Boomi™ (Boomi) announced it has completed a transaction to acquire ManyWho™, a unified cloud and low-code development platform. ManyWho simplifies workflow automation and allows businesses and developers to turn business processes into rich software applications to connect employees, customers and core systems. 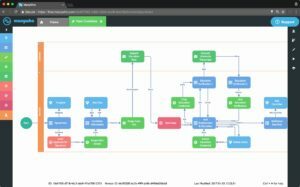 Workflow automation is a critical need for modern businesses and organizations pursuing digital transformation and IT modernization. Adding the ManyWho low-code capabilities to Boomi’s market-leading integration platform accelerates the company’s ability to deliver workflow automation to customers on a unified platform, something no other company can match. The acquisition unlocks the ability for businesses to maximize best-of-breed cloud applications, driving efficiency, increasing time to value and building a competitive advantage. With the addition of ManyWho, the Boomi platform provides customers with the enabling technology to address the challenges of Hybrid IT. Now, the platform allows businesses to connect, manage data changes, ensure data quality and re-establish efficient business processes across your IT landscape. Boomi is the world’s leading cloud integration platform. ManyWho is rethinking the way businesses manage workflow automation. Together, the Boomi platform offers the only solution where customers can move, manage, govern and automate data and processes in a unified way. ManyWho was founded in 2013 and is headquartered in San Francisco, California. Boomi plans to keep ManyWho’s employees and existing operations, and will continue to invest in additional engineering, channel, marketing, professional services, support and sales capability to grow this business. To learn more about how these new Boomi workflow features can help your business or see a demonstration, please visit: www.boomi.com/workflow. ManyWho is an agile, enterprise-level, cloud-based, application development platform. Agility doesn’t have to mean compromise however – ManyWho builds social, mobile (including offline) and real-time applications that can run on any desktop or mobile device, operating system or platform. Headquartered in San Francisco and with a presence in Exeter, UK, ManyWho is revolutionizing the world of business process effectiveness by helping corporations get the best out of their existing applications and investments. Dell Boomi (Boomi), an independent business unit of Dell, accelerates business agility by integrating the information organizations need whenever and however they need it. The Boomi integration platform dramatically transforms the way organizations connect, create, manage and govern all their applications and data. As a result, more than 5,300 organizations of all sizes use the Boomi platform to run smarter, faster, better. Boomi also helps customers drastically reduce implementation times and offers substantial cost savings over traditional integration, MDM and API management solutions. Visit http://www.boomi.com for more information. © Dell and Dell Boomi are trademarks of Dell Inc. ManyWho is a trademark of Boomi Inc., a Dell subsidiary. Dell disclaims any proprietary interest in the marks and names of others.